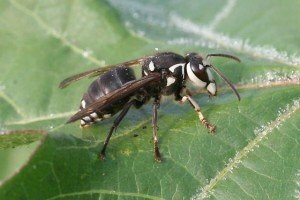 Bald Faced Hornet Nest Removals are an everyday problem here around Dahlonega, Georgia. 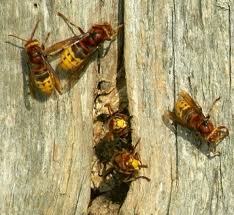 If we compare the nuisance calls to European Hornet Nest Removal it is 20:1, Bald-faced Hornets. Bald-faced Hornets are some of the most aggressive stinging insects that we remove. Unlike the Bee or Yellowjacket stings, these wallop a heck of a punch. In Dahlonega, Yellowjackets nests are most commonly found underground. 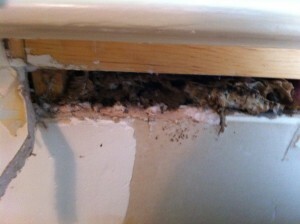 Sometimes we stumble upon Aerial Yellowjacket hives under eaves, decks, and doorways. We can even locate the hive is you are unsure where it is located. We would never ask you to track it down and risk getting stung. Let us take the liberty & since we are in protective clothing we do not risk getting stung repeatedly. 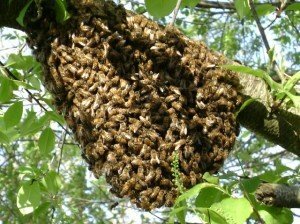 Dahlonega Bee hives can be hanging in a structure or commonly found in between the walls of a home. Sadly, oftentimes we find that a colony has been mistakenly sprayed with toxic pesticides by the homeowner or a Pest Control company and a large part of the colony has been damaged or destroyed. This is disheartening to us. Our lead technician on our Bee/Hornet team is a hobbyist Beekeeper. We still try to recover as much of the colony as possible to relocate them to a safe place. 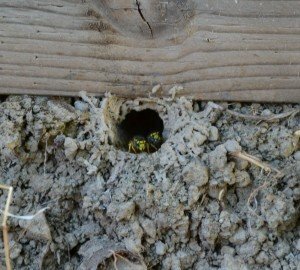 Our Bee Removal team will assist the colony with supplementing a food source as they are getting re-established in their new safe area. 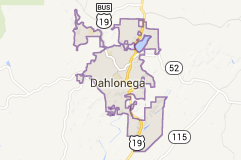 We provide services to all of the Dahlonega market. By no means are we limited to this area. 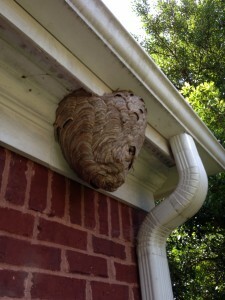 If you need help with Dahlonega Bee & Hornet Hive removals just give us a call.